Like a stealth bomber autoflowering newcomer Jet 47 Auto hits with both precision and power. Locked and loaded with good vibrations this Sativa dominant specimen delivers quick results of the highest quality. 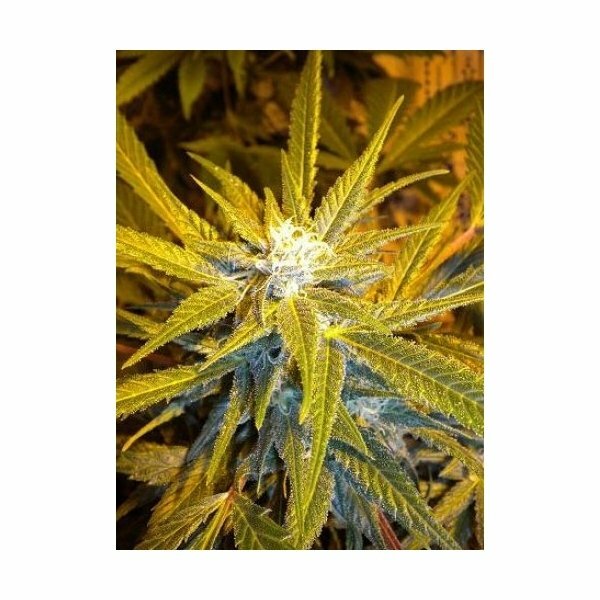 Develop as an autoflowering version of the well known AK 47, Jet 47 Auto brings the desired quality its cultivators were looking for. From seed to harvest in 65-80 days. Flash Auto Seeds - Jet 47 Auto: Full body relaxing stone. Prepare to fly high into the sky with one of Flash Auto Seeds latest autoflowering cannabis creations. Jet 47 Auto is the result of painstaking research to develop an a autoflowering version of the AK 47. Rather than simply be a generic tweak, the expert cultivators wanted to achieve a higher level of quality (and density) and we're proud to say they did. Jet 47 Auto boldly goes where no other strain has gone before. Rich in THC, Jet 47 Auto induces a strong Sativa favoring high which consists of an uplifting, fun and cerebral stone. Although Sativa-dominant, she does however provide a full body relaxing experience. This is likely due to the fact that she is made up partially with Indica genetics (20%). Jet 47 Auto serves smooth and comfortable ride, one that you'll want to try over and over again. Very much an all round impressive specimen, Jet 47 Auto soars majestically. Although compact in stature (35-120cm), she makes for a great stealthy strain for guerrilla growers and intrepid first timers alike - capable of being grow indoors, outdoors and in greenhouses. If you're looking for a fighter jet of a strain then look no further than Jet 47 Auto, her remarkable speed, power and performance make her the first class choice each and every time.